Research data from the Philippine Statistics Authority show that only 2 out of every 10 Overseas Filipino Workers managed to save at least half of all their remittances. “Regardless of the amount of the cash remittances sent, for every 10 OFWs, six (61.7 percent) were able to save less than 25 percent of the total amount received, two (21.6 percent) were able to save from 25 percent to 49 percent of it, and about two (16.7 percent) saved 50 percent or more,” the PSA reported. This is followed by reports showing that one out of ten OFWs is broke, citing a 2011 study by Social Enterprise Development Partnerships Inc., which also found out that eight out of 10 OFWs who returned to the Philippines have no savings. These figures show that the OFWs' best course of action after their stint abroad is to enter the world of entrepreneurship in order to maintain the lifestyle that they are used while they are living in abroad, and protect and grow their hard-earned money. Junior Achievement Philippines, Inc. (JAPI) will also hold their annual marketing pitch competition. 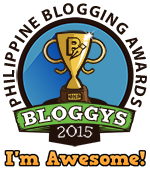 This event will be participated by 21 schools all over Metro Manila. 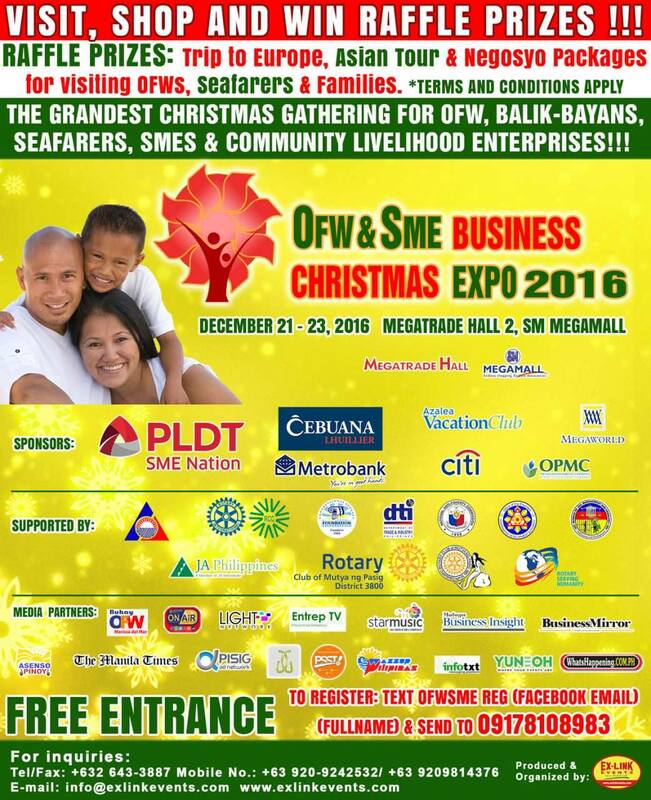 In addition, JAPI’s 10 mini-companies will exhibit their products and services. The Center for Pop Music Philippines will also do their annual musical showcase. 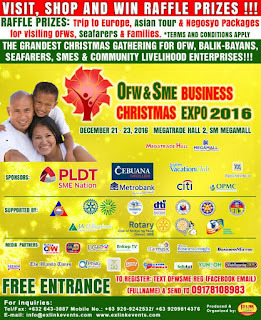 The OFW & SME Business Christmas Expo is one of the platforms that Center for Pop Music use in creating awareness for their students. Currently, there are a lot of stars and talents in the showbiz industry that trained at Center for Pop Music before becoming popular and professional entertainers. This year's expo will also have its bamboo showcase featuring various bamboo merchandise and the performance of the Kawayan 7 Modern Bamboo Band.